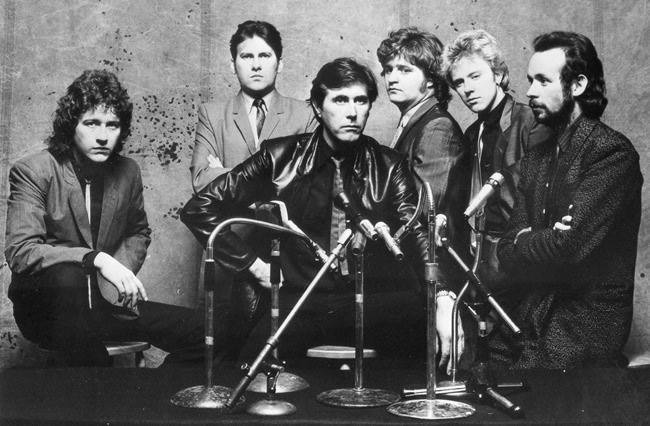 The conventional wisdom surrounding Roxy Music seems to suggest that there are two distinct “periods” of the band’s initial existence. The first phase, from the band’s inception through 1976’s Siren, was characterized by dual predilections for high-brow artiness and otherworldly glamour; and the second phase, from 1979’s Manifesto through 1982’s Avalon, signaled the band’s transition into a brooding, stylish, and literate pop hit machine, helmed by Bryan Ferry’s inimitable voice and buoyed up by a small army of studio technicians. 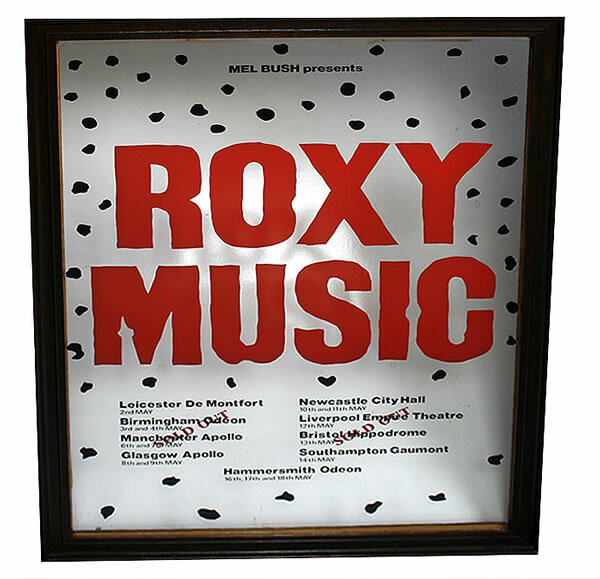 However, while there are undeniably two sonic phases to Roxy’s chronology, Manifesto, often hailed as the first album of Roxy’s later period, really finds a band in transition, firmly aware of their stylistic contemporaries but confident in their approach to songcraft. As such, Manifesto shines as a beacon of late-70s rock and roll, almost serving as a capstone to a tumultuous decade full of stylistic diversity. Bryan Ferry’s early experiences studying with pop artist Richard Hamilton shaped his interest in the notion of “musical collage”, and, indeed, it is never more evident than it is on Manifesto, which finds the band flitting between styles at the drop of a hat. 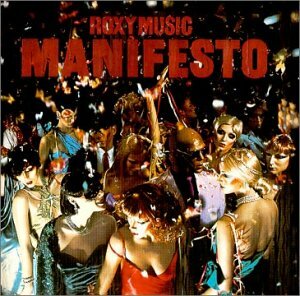 Manifesto opens with its title track, an atmospheric jam that transforms into a tense, deliberate art-rock workout before Ferry’s first triumphant entrance signals the return of the mighty Roxy Music, fresh off a three-year hiatus. From there, the band moves from key to key quickly and effortlessly in a complex formal conceit that suggests guitarist Phil Manzanera’s stint in prog-rock supergroup 801. One can almost hear the band reverse-engineering Bowie’s Berlin trilogy, and then reintegrating the sound into the Roxy aesthetic (a natural fit, given Brian Eno’s involvement with both Bowie’s Berlin trilogy and Roxy Music). These prog leanings are scattered throughout the album- the end of “Stronger Through The Years”, in particular, shows off Roxy’s prog side, awash in Krautrock synth arpeggios and fretless bass solos. “Ain’t That So” takes a different approach to contemporary trends in art-rock, aping the smooth and erudite jazz-rock of Steely Dan’s Aja. However, the near-inscrutable complexity of these tracks is nicely offset by songs like “Angel Eyes”, a glammy rocker that recalls “For Your Pleasure”-era Roxy Music. The band that made that album still hasn’t disappeared under a sheen of synthesizer pads and digital reverbs on “Manifesto”- at least, not yet. This punky bent persists through songs like “Trash”, which recalls the early New Wave of The Cars, and “My Little Girl”, a curious hodgepodge of Steely Dan (dig that faux-Michael McDonald chorus!) and a kind of angular intro riff sound that groups like INXS and Robert Palmer would turn into the sound of pop radio in a few short years. On the A-side of the album, Roxy Music traverse an incredible amount of stylistic ground- in fact, about the only thing they DON’T sound like is late Roxy Music. It isn’t until three songs deep on the B-side that Manifesto starts to display a band truly in transition. Ferry’s “Dance Away” sounds like the kind of lush, mysterious pop that Roxy Music would later perfect on “Avalon”, but, more importantly, it doesn’t sound like anything except, well, late Roxy Music. This is the sound of a band becoming less interested in the work of their contemporaries than in the future of their own sound. After “Cry Cry Cry” (an unremarkable piece of blue-eyed soul that would easily find a home among the numerous identical-sounding covers on Ferry’s early solo efforts), album closer “Spin Me Round” demonstrates not only where the band is coming from, but where they’re going. The knotty chords of the bridge recall early British art rock, and Paul Thompson’s outro drum solo apes Steve Gadd’s “Aja” solo in spirit, but this is a band committed to a new approach, and, on “Spin Me Round”, these collage elements sound less like the point of the exercise, and more like the last vestiges of early Roxy Music. The band would later refine their new, slick approach on 1980’s excellent, underrated Flesh + Blood, influencing a whole generation of arty electronic pop stars, but on Manifesto, one can still hear Roxy Music conducting the dirty business of stripping away their old aesthetic to find a new sound for the 1980s. Manifesto might get lumped in with Roxy’s second period, but, really, it’s an album caught between two worlds: the street-ready, glammy art rock of their first period, and the smooth, sumptuous Me-Decade anthems of their second period. 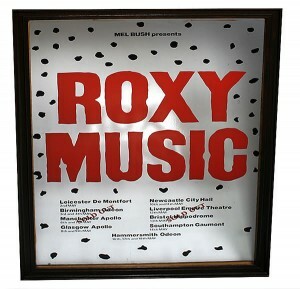 Either way, Manifesto is essential listening for anyone interested in Roxy Music’s unmistakable sound- and, with the best of both worlds present on the album, what is there to lose? Thanks for making this available. I had this album on cassette tape which got destroyed over the years, probably from listening to it so much!